Snapper are the target this time of year with this season just getting started we are looking forward to the next few months with the larger fish moving in as the water temperature continues to drop. So we have had plenty of trips on with a mix of ½, 3/4 and full day charters. 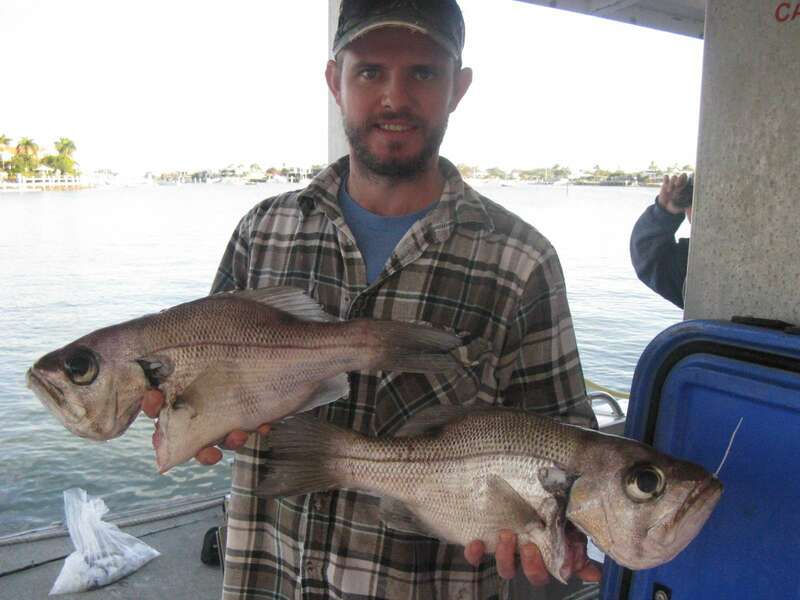 The full day charters to the banks and Caloundra wide have been most productive with pearl perch, snapper, tuskfish, moses perch, hussar, fusilier, spangled and red throat emperor, gold spot wrasse and maori cod coming from both reefs. The picure below shows 2kg/50cm pearl perch. There are a lot around in the 40-50cm range which is good forthis species. Well done Tom! The shorter trips have been spent in a bit closer on the Caloundra 9nm and 12nm reefs as well as murphies reef. 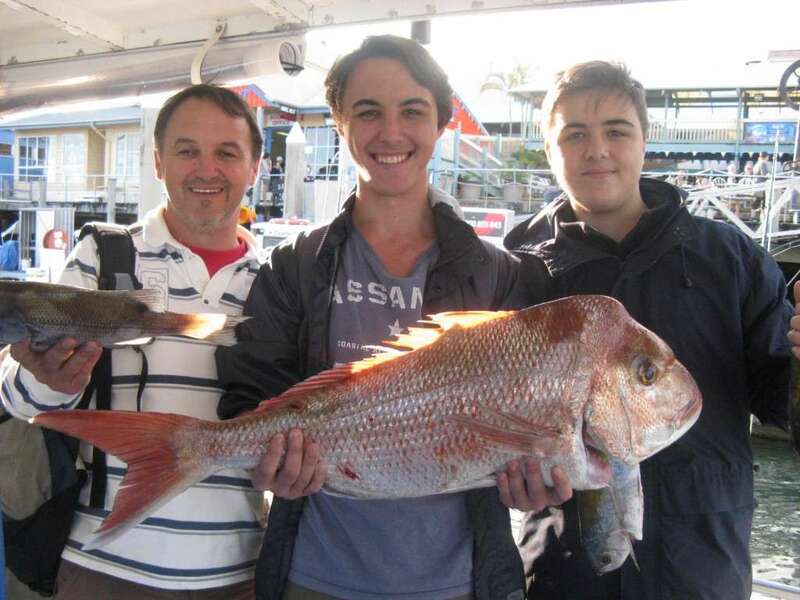 Once again snapper and pearl perch are boated along with quality tusk fish, maori cod, grassy sweetlip, moses perch and king fish. Best results on the inner reef belt this past week have been in the mornings with most fish around the 50cm mark. 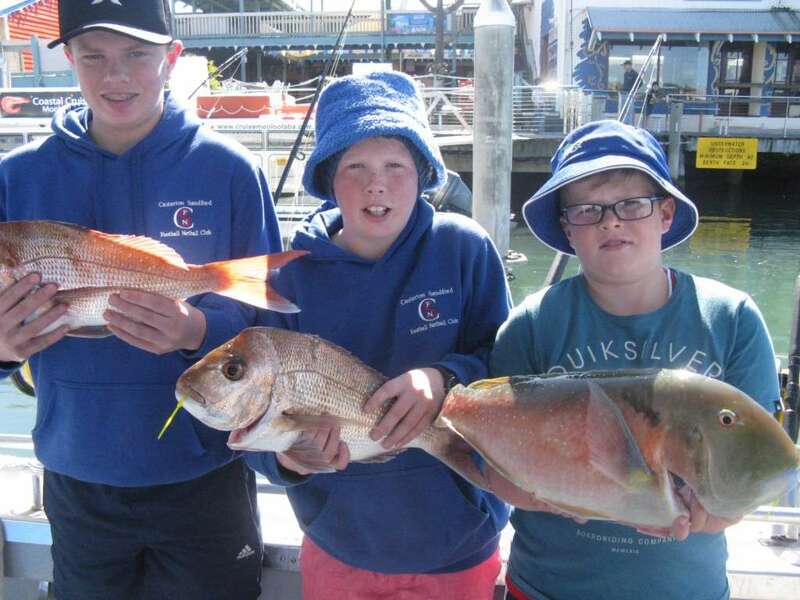 The boys below are enjoying their holidays showing off snapper to 52cm and a cracking 58cm /4kg venus tusk fish caught on murphies reef. There is still some availability for charters over the next week of holidays so if you would like to join us for a trip head over to our contacts page and flick us an email or give us a call until then……….. HAPPY HUNTING !